The time for change has come and you have decided to move your house from Norway to London. It sounds great – to forget about the spiked winter shoes, the long sunny, summer nights, and, especially, the freezing cold winter. The UK is an understandably desirable destination to remove to, having a stable economic offering and wide-ranging possibilities, especially for people from the EU and EEA. London covers a territory, which is almost twelve times larger than Oslo,Â Norway and is significantly more inexpensive. Although planning, packing and organizing a house removal to London, particularly with children, can be a tiring and difficult job, it is not half as tough as establishing your new life in a completely unfamiliar country. 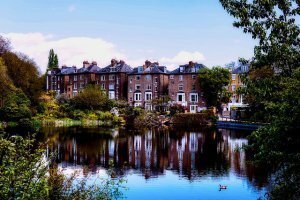 We offer you some basic information about the working and living conditions in the UK capital. 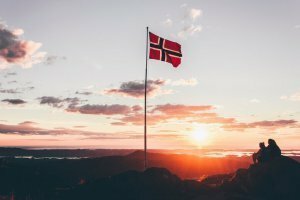 Moving from Norway to London — Do I Need a Visa? This is a commonly asked question, especially after the UK announced it’s leaving from the EU. According to BBC News, Brexit will not influence the current immigration laws for people from the EU or for the citizens of Norway, Iceland, Liechtenstein, Switzerland and those from the Overseas Countries and Territories (OCTs). That said, no, you do not need a visa if you hold citizenship in one of the countries mentioned above. If you organize your house move to London during the transition period from 30 March 2019 to 31 December 2020 you will, however, need to register, since you will be staying in the country more than three months. 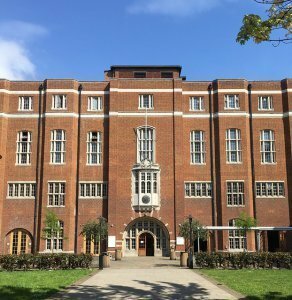 If you are relocating before the Brexit (30 March 2019) you are doing so under the old set of agreements, which means that you don’t have to register. After five years in the UK, you will obtain Permanent Resident status and one year after that you will be able to apply for British citizenship. But be aware that under the current Norwegian law, if you are a citizen of Norway you cannot obtain dual citizenship, which means that you will lose your Norwegian citizenship in favor of your British one. For now, Healthcare rights remain unchanged, although it is not clear what is going to happen to the EHIC card and the free emergency healthcare system in the EU. The negotiations on this topic between the UK and the EU are still ongoing. East London is relatively cheaper than other parts of the city. However, note that the further you go from Greater London, the less expensive the real estate becomes. Most of the properties are advertised with a rental sum ‘per week’, not ‘per month’, as you may be used to. Get familiar with the traffic regulations in the capital and try to rent or buy a house with good access to public transportation. London has a big problem with congestion and in the city center, there are many additional charges that you are obligated to pay if you choose to move around by car. Use a real estate agency when you are searching through London for accommodation. The agent will guide you through the whole process and keep you well-informed about all the legalities. If you choose to search for your new home alone, be sure to visit the property before renting it and always ask for a tenancy agreement. In the UK, all pupils must wear a uniform and every school has their own design and colors. All students must wear them during school hours. The uniforms are mandatory, which means you are obligated to obtain them for your children. Children in British schools have exams and get graded from an early age. In the UK, children start school at the age of five. There are Individual schools in the UK that are in most parts autonomous. They must follow the national curriculum but they have the freedom to choose the optional school subjects, the type of uniforms, their student exchange policy, how to spend their budget and how to manage their facilities. London offers great opportunities to start a new job. The labour market is flexible and, depending on your qualifications, you can find a job relatively easy. According to analysts from the London Datastore, the employment rate in London in the last quarter of 2017 was 74.5 percent. There is an increase of available job positions in Administration and Support Services, Construction and Health and social work. According to the same source, the employment rates in the first three months of the new year are still rising steadily. The labour market in London is quite diverse, with new job offers published in different specialized sites every day. We advise you to start your job hunt in www.londonjobs.co.uk, www.monster.co.uk, www.reed.co.uk, or www.indeed.co.uk. Be sure to check www.gov.uk before yourÂ Norway to London house removals for more legal information regarding the employment of foreign citizens.